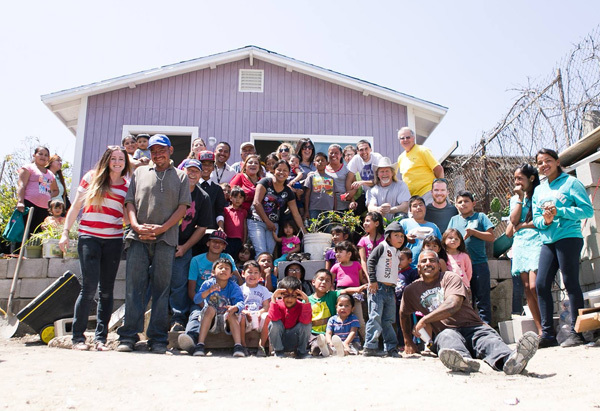 One of our major ministry opportunities is the construction of houses by short-term mission teams for needy families in Tijuana. 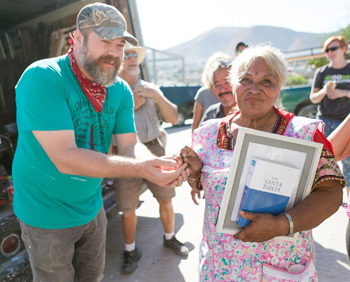 Construction of a two-story, 640 Square foot "Puente" house usually takes 3 1/2 to 4 days, depending on the size and skill level of the short-term mission team. Puente de Amistad has a box van with all the tools and equipment needed for a team to build a house. 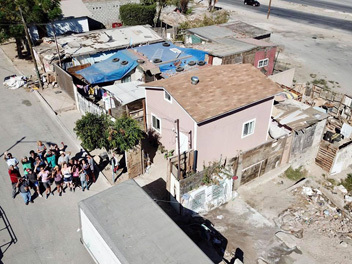 Many of the construction materials are purchased in Mexico and are delivered to the house site on or before the first day of construction by a local vendor. To choose families to receive a house, we rely largely on recommendations from local pastors for families in need of a home. However, we also receive leads for needy families from many other avenues. Prospective families fill out an application and provide evidence that they own the property where they want us to build. 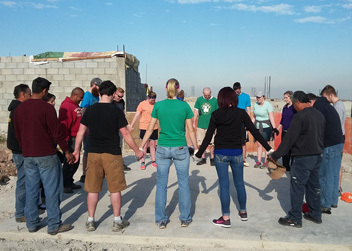 When a team commits to building a house, we prayerfully select a family from our list of applicants. We send pictures and a short biography of the family to the team so that they can put names with faces. Teams can also share about the family with their local church so people can begin to pray for the family and the team as the team members raise funds and prepare for the trip.